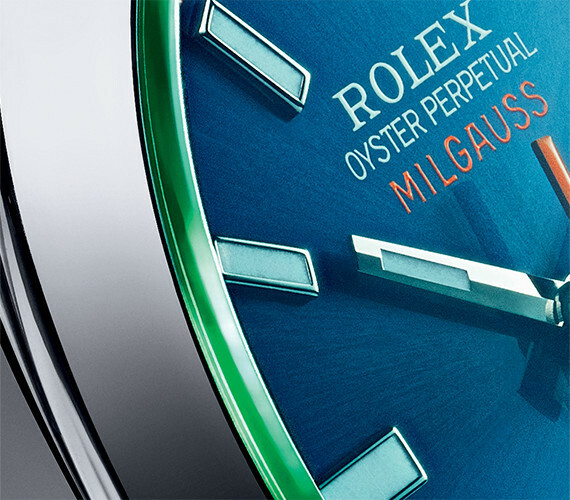 The first innovation at the heart of the Milgauss’ resistance to magnetic interference is the shield inside its Oyster case. 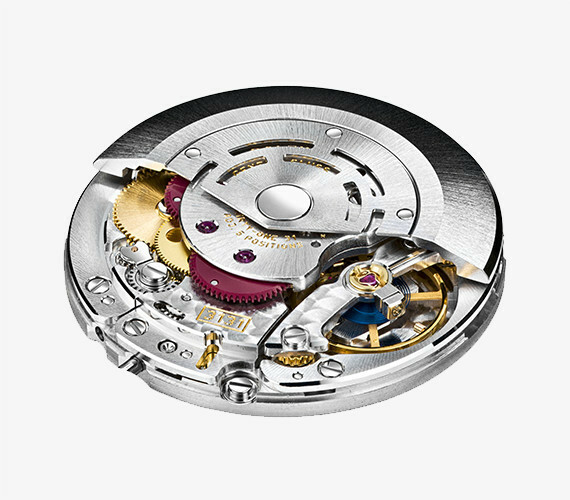 Made of ferromagnetic alloys selected by Rolex, it surrounds and protects the movement. 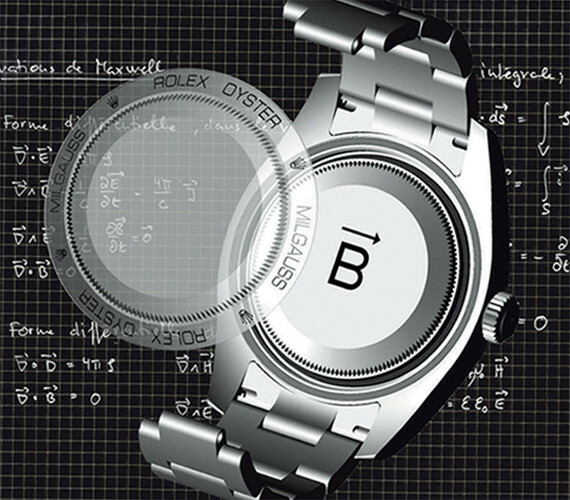 The symbol for magnetic flux density – the capital letter ‘B’ with an arrow – is engraved in this magnetic shield, but only Rolex-certified watchmakers will ever see it.